It is not a secret that the world of music is very competitive at the moment. To ensure that you are making a ground-shaking music which has an ability to move the crowd, you need to have the equipment which is up-to-date. 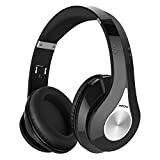 DJs, Musicians, Music Studio Professionals, Radio Station Professionals, in particular, are looking for a reliable piece of headphones that can enhance the quality of the music monitoring. Is Audio-Technica Audio Technica ATH M40x – one of those headphones? 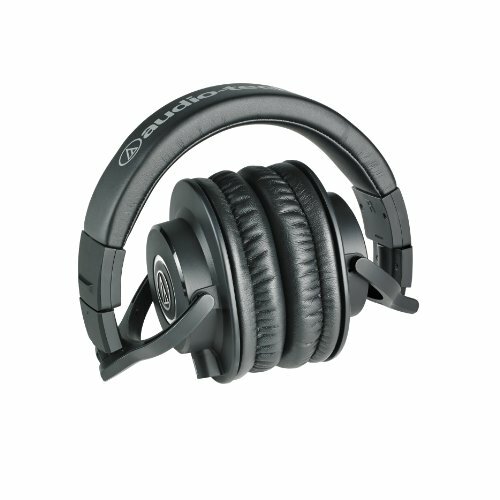 Audio-Technica is known for good pairs of headphones which excel at their quality. This being said, we hope that the ATH-M40x is no different than the rest of its Audio-Technica family. If you are wondering the same, we have written a review to show what is this Studio Professional Headphone model made of. 40 mm drivers, Circumaural design, 90° swiveling earcups, Professional-grade earpad and headband material, Removable Cables, Cutting-edge engineering. We can’t say that the ATH-M40x is good without taking a look at its’ most important features. There are many things to consider before putting these headphones on our head and starting to listen to the music. We have pulled out these things into the feature section which you can read below. Features determine how good is some pair of headphones, what are the unique differences compared to the competition, but also what stayed the same. We will consider the sound isolation, the drivers, and the cable quality. In order to cut the prices, but also make headphones more lightweight and studio-friendly, Audio-Technica designed the ATH-M40x model to have more cushioned cups which prevent the noise from entering the ears. Closed in a music studio the user can dedicatedly focus on their music without being interrupted. The noise isolation on Audio-Technica ATH-M40x genuinely copes with the active noise cancellation. Knowing how DJs need to focus on their music while surrounded by the beat-hungry crowd, the cushioned surface which protects the ears will ensure that he doesn’t miss a thing while producing the high-quality music. A good pair of DJ headphones needs to catch every little detail of the beat. This is ensured through the top-notch drivers and a rich frequency range. The sensitivity of the Audio Technica ATH-M40x is estimated at around 96 dB which is more than sufficient to produce high-end tunes. Sensitive headphones will notice more sound, which is very helpful towards the people who like to experiment with the bass and the depth of the details in their tunes. A lot of high-end components are invested into engineering a professional DJ headphone. 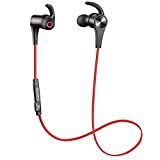 The addition of the Bluetooth would only make the price tag higher, which is not necessary if you are looking for a bold headphone in your budget range. The M40x supports two adapters. The regular 3.5mm adapter will work together with all the latest smartphones, tablets, and other gadgets that support this audio jack, including the computers and laptops that are so often used for listening to the music. The ¼” adapter is used for high-end stereo equipment ideal for home studios. Despite the lack of the Bluetooth, the wires don’t look as annoying when seeing all the connectivity options that these offers. There are little to no things about Audio-Technica products to not love. Futureproof and tech savvy look of the headphones is something that attracts many audiophiles who are favoring the appearance more than the quality. The ATH M40x has a lot to offer in terms of design either. The headphones are available in black color, with the additional accents of gray and silver to mark the logo of the Audio Technica. While the black color seems ordinary, you won’t need anything else in the music festivals or studios. There is also a finished matte on the model and many more things that we will discuss below. The circular design is chosen when the manufacturer is looking for a decent sound isolation. It completely covers the ears, surrounding the shells with the cushioned foam needed to prevent the outside noise from the entering. The loud, screaming crowds are behind you, as you can entirely focus on your tunes and the detailed beat coming out from your ears. Aside from the tremendous performance, headphone users usually pursue the comfort in their purchases. Unfortunately, the comfort is not guaranteed for everyone. While the headphones easily fit in the head, containing the cushy surfaces dedicated to the all critical sides of the head, the headphones weigh far more than they should. It weights 240g (8.5 oz), without cable and connector. With this weight, one would worry about the constant headaches, despite the manufacturer claiming that the headphone is comfortable. Even so, the 40mm drivers are quite heavy, and the excess weight of the headphones is somewhere understandable. Audio Technica ATH-M40x - Easily Foldable, Swivel 90 degrees and Rotate. The headphones easily fold and swivel and rotate much easier. If you are a DJ, you know that the swiveling design of 90 degrees allows you to focus on either mixing and listening, freeing one of your hands, making it easier for you to keep up for good work. The folded construction ensures the space-freeing when needed, allowing you to pack your headphones in a small given pouch and carry them in your very bag. The headphones come with two detachable cables. The coiled cable is better and more durable, as the headphones are quite prone to abuse, it is comforting to see you won’t have to replace the cable every few months. The straight cables are good, but they wear off fast. The futuristic design of ATH won our hearts. However, the bulky construction earned it only 4 out of 5 stars. This is where we unveil the characteristics crucial for our favorite part, the music. We will consider the drivers and the sound quality, factors more important than the design and features themselves. The M40x is equipped with the 40mm Neodymium drivers and copper-clad Aluminum wire voice coils, which deliver the outstanding and professional audio experience, perfect for the monitoring inside of strict and dedicated audio studios. Learn more about Neodymium drivers. When it comes to the lows, as a result of the smaller drivers, the bass is not as strong as the pricier models of the same series from Audio Technica. It is still quite a ground shaking and dynamic bass that can make you easily focus on what you are doing. 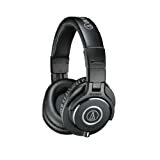 However, if you are looking for the perfect bass response, check out the Audio-Technica M50x. The mid-stage and highs are extremely accurate. They perfectly reflect the vocals and instruments such as guitar, violin, or piano. The highs are definitely what stands out in this model, with the precise and detailed audio capabilities. It is not a secret that the sensitivity of the M40x covers a wide frequency range, hence its’ superb audio output doesn’t surprise us. As mentioned above, the DJ headphones and the monitoring headphones are prone to the abusing. 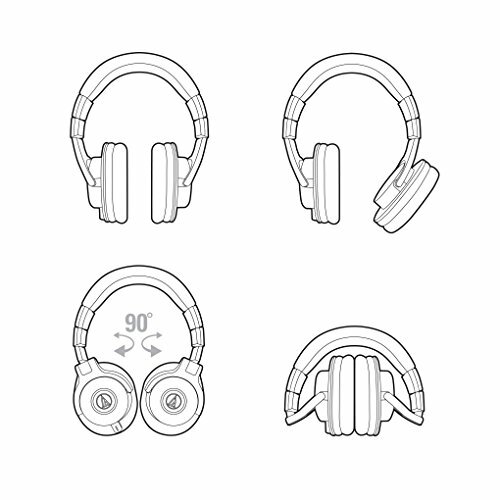 The robust materials used to construct and engineer the headphones will do more than sufficient work to keep the headphones working and in one piece. However, that doesn’t mean that they should be thrown around and tortured. The one thing that we mind about the performance is certainly the lack of the calling capabilities with the headphones, thanks to the lack of the implemented microphone. Yes, the M40x is purely designed for monitoring music. It is a great add on to the music studios and responsible for creating the world-known music. However, if you want to remotely answer the phone, you will either have to buy an additional pair of headphones or answer your phone. You can find the M40x for less than $100. The price of the high-end Studio Monitor headphones shouldn’t be taken lightly. The premium components which ensure the impeccable audio performance are quite expensive. However, the M40x beats its competition with a much higher price tag. If you are starting your journey, this is the ideal pair to suit you in your musical creations, hence 4.5/5. Whether are you starting off your journey as a mobile DJ or Studio professional or you are looking for the replacement for your old headphones in the budget, the Audio Technica ATH M40x is an ideal choice for you. It provides all the necessary conditions to make you a successful musician and make you enjoy the best of your favorite music. Audio-Technica ATH M40x may be a perfect headphone for many, yet many other of you might want to know what are the similar alternatives of ATH M40x? As a practice of GetAHeadphone.com, we try to give you best similar alternatives of each phone and here are the top 5 alternatives of Audio-Technica ATH M40x. 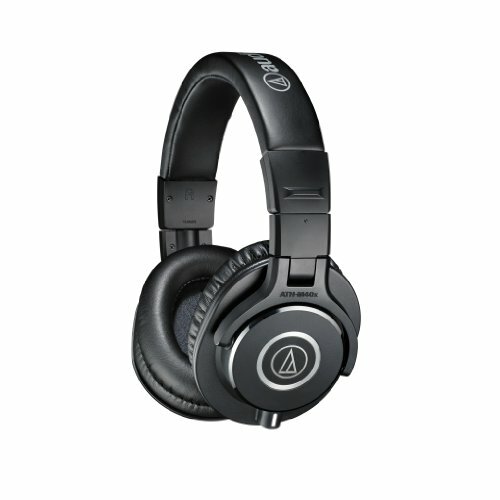 Audio Technica ATH M40x is an affordable pair of headphones dedicated to the DJs and the music producers. The high-end features include durable and comfy design, superb sound isolation, top-end, detachable and coiled cable, and the audio performance seen only on the most premium headphones. The lack of microphone and excess bulkiness make it less attractive, but not enough to give up on it.